It’s guest post day here at Duct Tape Marketing and today’s guest post is from Jessica Davis – Enjoy! Remember a time when it was not possible to share your opinions about a specific product with others because there was no outlet. Not too long ago, the consumer was considered to be at the bottom of the pyramid. There was no way to display dissatisfaction with the services received or products purchased. However, consumers today enjoy a very different situation, all thanks to social media. Through social media outlets, consumers have been able to easily convey their opinions – whether it be criticism or praise – about various brands. There is now an opportunity for consumers and brands to actually build a working relationship in which views can be exchanged and opinions can be voiced. For brands, understanding the consumer and knowing what they think about the product can prove to be very beneficial. Also, brands with a strong consumer following can benefit from starting a direct line of communication through social media marketing to engage with the very consumership that purchases their products or services. Along with big-name brands and corporations, small businesses and start-up companies can also benefit from having a proper social media system in place. Social media websites provide a platform for buyers to voice their opinion in an open forum where their voice can be heard by other like-minded individuals. By building strength in numbers, consumers can get their point across to reputed organizations and brands, and force them to change their product through the use of social media outlets like Facebook, Twitter, Google+ and more. Take the recent example of consumer outrage in Canada and USA against Vitalife’s dog treats, which, according to claims are of inferior-quality and have been linked to the deaths of many dogs. Many of the consumers have banded together on Facebook, demanding that the product be pulled off the shelves. This is just one of the many ways consumers have found for making their voices heard. Brands too, have realized the potential that lies in using social media for marketing purposes, and several brands have adopted this medium as one of their main marketing tools. Through sites like Facebook, Twitter, Pinterest and more, brands can make important information available for their loyal consumership. This can include exclusive sales, promotional offers, rewards, etc., Information about the product and its production process can be shared with consumers who feel more empowered after gaining more knowledge about their favorite product. Companies can make more use of this opportunity by posting details about the product and organization along with the process that is involved in the creation of the product. There has also been a dramatic shift in the relationship between a brand and a consumer. Social media has taken power and control out of the hands of large corporations and famous brands, and has put it in the hands of the consumers. Realizing this, many CEOs and other top level executives of big name brands have taken to Facebook and Twitter to engage directly with the customers who might be buying their products. 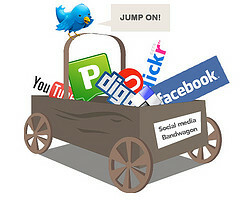 Through the use of social media companies can chart out their marketing strategies depending on what the consumers feel. Companies are posting questions, and asking consumers to share their views on a new product, suggest a flavor for a specific food brand, and are even asking consumers to submit their art for a new logo or product cover. Businesses are not just sticking to content on social media, but also creating interesting podcasts and videos to promote ideas for new products and campaigns. This process makes the consumers feel more involved in the marketing process and the fact that they have provided some input in the process makes them trust the brand more. More and more consumers have started interacting with each other over websites like Facebook, Twitter, Pinterest and more, and promoting their favorite products on these platforms. This gives the business more exposure, and an opportunity to understand their buyers, their needs and their dissatisfaction. Businesses can gain more insight on improving their product by spotting unhappy customers early on and taking steps accordingly. Ensuring that consumers feel valuable can help businesses stay two steps ahead of their competitors in this ever-changing market. Social media has drastically changed the marketing game for businesses. The sooner companies realize the importance of social media and the role it plays in marketing, the sooner they can start reaping the endless rewards it offers. Jessica Davis is a Content Strategy expert at Godot Media, a leading content services company. She works with other Godot copywriters to create engaging and effective web content for businesses and individuals. She is also interested in technology, social media and fashion.